2017 is around the corner and there is a awesome line up of action-packed movies coming out. Likewise, as has become our tradition at Pearl Kreations, we have a lovely line up planned. The first collection is Collection Curious. It features three (3) emblems/logos from three (3) blockbusters – Captain Sparrow for Pirates of the Caribbean: Dead Men Tell No Tales, Autobots/Decepticons for Transformers: The Last Knight, and Boss Templeton for The Boss Baby. The second collection is Collection Marvel. It features four (4) emblems/logos from four (4) blockbusters – Wolverine for Logan, Spidey for Spider-Man: Homecoming, Guardian for Guardians of the Galaxy: Volume 2, and Mjöllnir for Thor: Ragnarok. The third collection is Collection Rangers. It features five (5) emblems/logos from one (1) blockbuster – Red Ranger, Yellow Ranger, Pink Ranger, Black Ranger, and Blue Ranger for Power Rangers. The fourth collection is Collection DCU. It features seven (7) emblems/logos from two (2) blockbusters – Wonder Woman for Wonder Woman, and The Justice Shield, Wonder Woman, Superman, Batman, The Flash, Aquaman, and Cyborg for Justice League. All collections will be available for purchase via our online gallery and Konga.com Store. If you saw watchmen, then you can’t deny it was awesome; and even better in IMAX! If you watched it and hadn’t read the book or comics (like me), you would have been pretty confused. Good thing I went to the movies with two people who had read both the book and comics. I’m a movie buff and when I first thought of mixing 2 of my pleasures to make money, I was excited. It started with watchmen as you might have read already; and it went great! The watchmen buttons sold really well. We got orders from the UK, US and of course, Canada. I realized at the last-minute that I hadn’t looked for watchmen groups/pages on Facebook. Luckily, I discovered the official page for the movie as well as fan groups and pages for the individual characters: the Comedian, Rorschach, Dr. Manhattan, Ozymandias, Silk Spectre II and Nite Owl II. And of course, yours truly, uploaded photos of both buttons and advertised the buttons on all walls of all groups and pages I found relating to the watchmen on Facebook. I got a couple more orders from there as well. 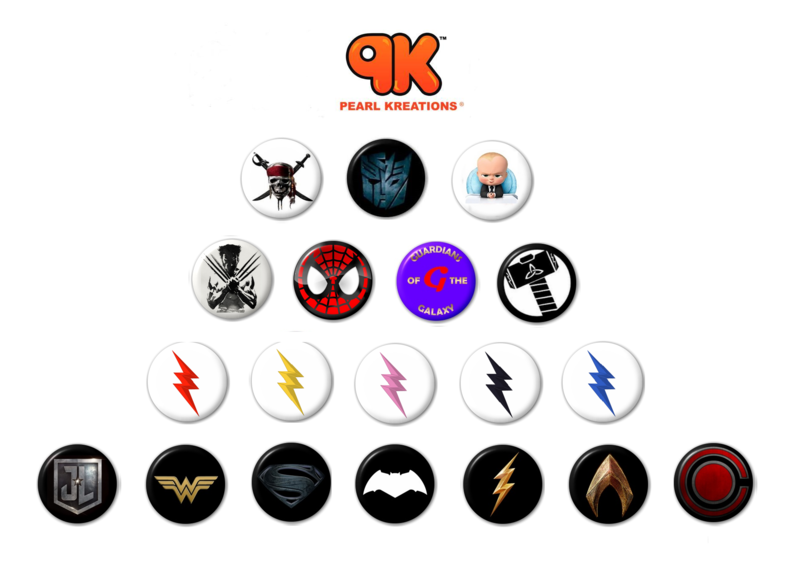 The Comic Stores loved the idea, but because I hadn’t received a written permission from Warner Bros or DC Comics, they would be taking a risk selling the buttons without permission – if they got discovered, they could face a lawsuit and possibly have their businesses shut down. I realized that may be I didn’t write both Companies in time. And I have learnt. All in all, I was fairly satisfied. Now I’m just waiting for a reply.Lets wait and see! In October, I”ll try to get McDonald’s and co involved with the 2 movies coming out – Where The Wild Things Are on the 16th. This movie will be the third adaptation as it has been previously made into a short animation and an Opera. Now it is a live film presentation/movie. 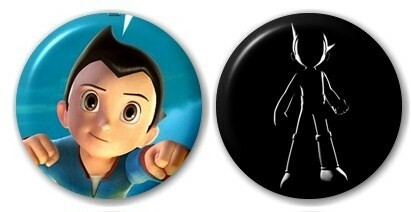 And on the 23rd, Astroboy. It was originally a Japanese manga series first published in 1952 and television program first broadcast in Japan in 1963. And finally, for the teenage girls, Twilight Saga: New Moon buttons will be made available from October 19th…a month before its November 20th release. We’re going to just two with photos of the 2 heartthrobs: Edward Cullen and Jacob Black! We’re also going play a game from October 27th until November 21st called: Team Edward vs Team Jacob. Fans of Edward versus the fans of Jacob. They will be sold until a week after they’re out in Cinemas; after which team which rocks will be announced…based on the highest number of buttons sold! I first saw the trailer mid last year and event though I didn’t know who they were, I was completely blown. I tried not to get too excited cuz it was coming out in March 2009. 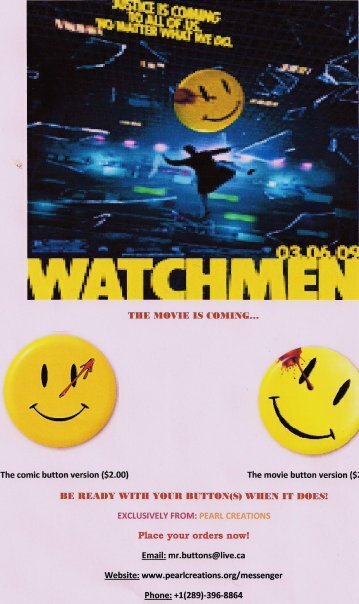 When someone placed an order for watchmen buttons, I was surprised. I realized it wasnt just a movie after I did my research. Apparently, there was a movie in the late 90s and this is a remake. Apart from that, it was a DC comic series that was first published in the late 1980s so it is very popular too. I wasn’t much a comic books lover growing up so I didn’t know them. I mean I bought and read the usual Spiderman, Superman and Batman Comics, but that was about it. Anyway, I made the buttons and gave it to the very satisfied young man. While working on the Company’s accounts December last year. I came across the fellow’s order again. Curious, I looked up the design on the internet. It was described as the watchmen comic book logo. The bloody minute-hand is guess signifies time. Another trailer came out this year and I noticed a smiley button on the overcoat of the man who was thrown out the window. I also noticed it on their pistols, on ”The Comedian’s” (one of the Watchmen) costume, on the website’s favicon and at the end of both trailers. What more? It was totally different from the comic books’ version. This had a slight taint of blood on the upper left side. Over in school and downtown, I noticed the buzz over this movie was incredible. I mean the trailer is mind-blowing…can’t blame them. Then it hit me! The watchmen wear buttons! If the buzz is this good, the demand for the buttons would be incredible as well. The last time, there was this much buzz was Spiderman 3 and Transformers. And lots of people went gaga! They bought and wore Spiderman 3 to the premieres. When transformers t-shirts came out, there was a rush too! I decided to make both types! Some people like my 2008 Customer would appreciate the comic book version; and, some people like me who like the movie trailer, would like the movie’s version! 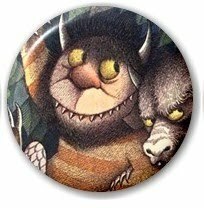 My first plan of action was the contact Warner Bros and ask for rights to make buttons with the movie’s logo. I wrote to the Director of Still and Clips Licensing. Then I contacted and pitched the idea to Cineplex/Famous Players Cinemas, McDonald’s, AMC Cinemas (United Kingdom), Empire Theatres and Harkins Theatres (United States). Apart from McDonald’s who makes just toys, the others admired the idea :-D, but already had specific things they wished to do for the movie. They did commend and encouraged me to go ahead solo. And so I did! I decided to make posters and post them all over town. I contacted a few friends who also decided to post 1 or 2 in their schools and college residences. Just posted a couple of them around tonight…on bus stop sheds and light poles. I hope to be done by tomorrow evening. I also plan to get in touch with a few comic book stores. Then I’ll pray and watch what happens!